0445214053, 55187883, 049417L3. 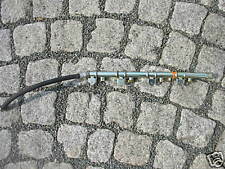 Lancia Lybra 2005 Kraftstoff-Stamm-Leitung 0445214053 Diesel 85kW GPAC14295. 2005m., manual, 85kw, 1900cc, lhd. Lancia Lybra, caravan. Part Numbers The part is used. LANCIA PHEDRA < span class = notranslate ' > 2.2 < span class = notranslate ' > Diesel 5 m SPARE 0445214017 INJECTION PIPE FLUTE 94KW (2003). Power: Diesel. Year: 2003. For more information and prices. Internal reference: 151/15AS. Engine code (located at point P5 of the booklet): 188A4000. 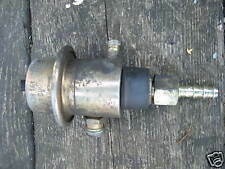 0445214012 TUBE BOSCH LANCIA LYBRA < span class = notranslate ' > 1.9 D SW 5 m 77KW (1999) PARTS USED. MPN 0445214012. 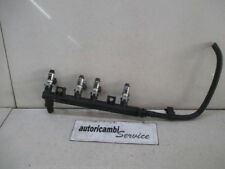 Product range: Fuel system/fuel injection Tube/Comon rail. Year: 1999. Power: Diesel. Part codes: 3219018301. Power: 44kw, 1242cc. Fuel type: petrol. Manufacturer: Lancia. No weekend or after hours dispach available. 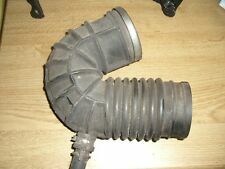 2611560F FLUTE PIPE INJECTION with INJECTOR SERIES LANCIA MUSA < span class = notranslate ' > 57KW 1.4 5 p 5 m G (2011) PARTS USED. Internal reference: 184/16MS. 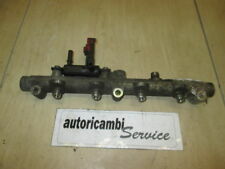 Lancia Lybra thesis direction injection new 55194971. Lancia Lybra "Bj. 1999-2005". Lancia thesis "Bj. 2001-2007". (Injection). 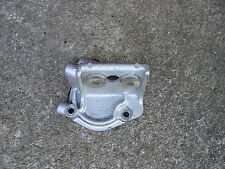 Original Part Number / s:55194971. Dort finden Sie viele weitere hoch interessante Fahrzeugteile! All body parts are generally sold as original parts for painting. By purchasing you accept these. The said vehicle data, especially key numbers correspond to those of the donor vehicle. An original spare part is new or second-hand always 100% suitable for your vehicle. Id166799: KNE03 5Y15 Lancia Dedra Ignition Knock (Detonation) Sensor 1993. id166799: KNE03 5Y15 Lancia Dedra Detonacinis daviklis 1993. id166799: KNE03 5Y15 Lancia Dedra Klopfsensor 1993. id166799: KNE03 5Y15 Lancia Dedra Датчик детонации 1993. Id169280: kne03 NENUSTATYTA Lancia Dedra Ignition Knock (Detonation) Sensor 1994. id169280: kne03 NENUSTATYTA Lancia Dedra Detonacinis daviklis 1994. id169280: kne03 NENUSTATYTA Lancia Dedra Klopfsensor 1994. Id168918: 0261231144 nenustatyta Lancia Lybra Ignition Knock (Detonation) Sensor 2001. id168918: 0261231144 nenustatyta Lancia Lybra Detonacinis daviklis 2001. id168918: 0261231144 nenustatyta Lancia Lybra Klopfsensor 2001. 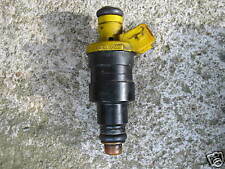 Id323385: 0261231095 used Lancia Kappa Ignition Knock (Detonation) Sensor 1996. id323385: 0261231095 used Lancia Kappa Detonacinis daviklis 1996. id323385: 0261231095 used Lancia Kappa Klopfsensor 1996. Artykuły z łamane lub nie istniejących plomb, etykiet lub pieczęcie jako nieważne w stanie dostawy. Denominación del artículo Datos del artículo y del vehículo. Poland Da 15,99EUR. Товар с поврежденными печатями, маркировками или пломбами расматриваются как не в состоянии поставки. Lancia Voyager 2.8CRD 35062005F. Einspritzventil Einspritzdüse. Auto-Teile Mikolajczyk. Piotr Mikolajczyk. FIRMA USLUGOWO-HANDLOWA. Deutschland - Leipzig. Artykuły z łamane lub nie istniejących plomb, etykiet lub pieczęcie jako nieważne w stanie dostawy. Conducto de inyección. engine code Товар с поврежденными печатями, маркировками или пломбами расматриваются как не в состоянии поставки. Código interno para información: 1145686. Llama ahora y pide tu pieza. Inyector LANCIA LYBRA BERLINA 2.4 JTD LX, Año: 2000. Referencia : 0445110002. Wir können es überprüfen. Nous pouvons le vérifier. Motor: 2.4JTD 2387ccm 99kW 839A5000. Einspritzdüse Injektor für Lancia Lybra 839. Fahrzeug: Lancia Lybra 839. Weiters werden alle Teile mit 6 Monaten Gewährleistung verkauft. Erstzulassung: 2000. Karosserie: 4 Türer Stufenheck. Código interno: 1778511. Inyector LANCIA KAPPA BERLINA 2.4 TDS LE, Año: 1995. Referencia : 670274, Observaciones: Un conector con 2 pines. Código interno: 1047319. Inyector monopunto LANCIA DEDRA BERL. 1.6 / 1.6 I.E. LE, Año: 1994. Referencia : 0438201091. Código interno: 1778510. Inyector LANCIA KAPPA BERLINA 2.4 TDS LE, Año: 1995. Referencia : 76204273. Código interno: 1778512. Inyector LANCIA KAPPA BERLINA 2.4 TDS LE, Año: 1995. Referencia : 76204273. Código interno: 1062496. Inyector monopunto LANCIA DEDRA BERL. 1.6 / 1.6 I.E. LE, Año: 1994. Referencia : 0438201091. Inyector monopunto LANCIA Y10 1.1, Año: 1985. Referencia : 32MM13C. Código interno: 1045150. Código interno: 798393. Rampa inyectora LANCIA LYBRA STATION WAGON 1.9 JTD. Referencia : 0445214012. Wir können es überprüfen. Nous pouvons le vérifier.